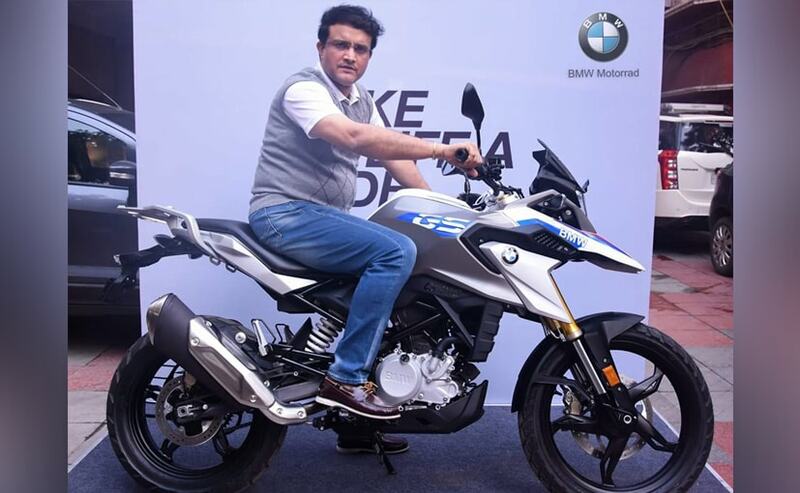 Former captain of the Indian cricket team, Sourav Ganguly recently took delivery of his new BMW G 310 GS. He's the second prominent Indian cricketer to bring the new BMW 310 home after Yuvraj Singh. The BMW G 310 twins have found its niche amidst motorcycle enthusiasts even as newer offerings enter the 300-500 cc segment. In its one year of sales, the bikes have made their way into several celebrity homes and the latest one is that of ex-Indian cricketer Sourav Ganguly. 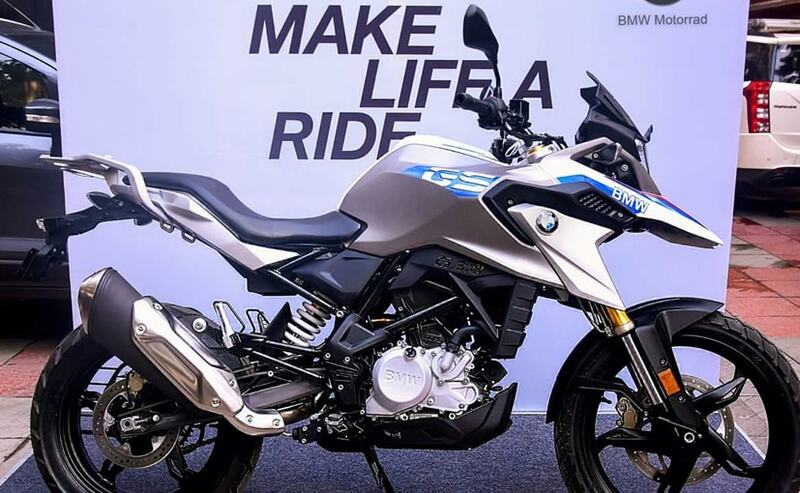 The Indian cricket's "Dada", as he is fondly called, recently took delivery of the new BMW G 310 GS. The adventure tourer is priced at ₹ 3.49 lakh (ex-showroom) and was delivered to the cricketer in Kolkata. 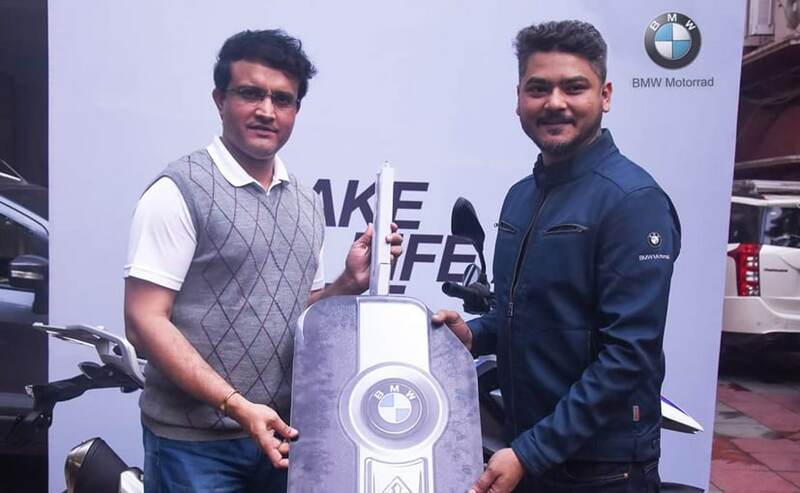 BMW Motorrad India shared images of Ganguly taking delivery of the new motorcycle on his social media handles. The Bengal tiger of the cricket field has surely upgraded in the nearly two decades since, with the G 310 GS capable of doing so much more. The motorcycle has been developed in collaboration with TVS Motor Company and is produced at the latter's Hosur-based facility. Power on the G 310 GS comes from the 313 cc water-cooled, single cylinder engine tuned to produce 34 bhp and 28 Nm of peak torque. The bike is paired with a 6-speed gearbox. The BMW G 310 twins went on sale in the second half of 2018 and the company managed to sell about 1640 units by the end of the calendar year. With the bikes already being exported from India since 2016, TVS recently announced that it had achieved a production milestone of 50,000 units on the TVS-BMW G 310 platform that includes three offerings - BMW G 310 R and G 310 GS, as well as the TVS Apache RR 310.